Howard Elliott 56006HP - The Avondale Mirror is a lovely piece featuring an ornate frame adorned with decorative flourishes. The entire piece is then finished in our custom glossy hot pink lacquer. It is a perfect piece for an entryway, bathroom, bedroom, or any room in your home! The Avondale Mirror can only be hung vertically and the glass is NOT beveled. It fits into a wide array of decor styles ranging from Traditional to Contemporary. It is a perfect focal point for an entryway, bathroom, bedroom or any room in your home. D-rings are affixed to the back of the mirror so it is ready to hang right out of the box! It is part of our custom paint program and is available in one of ten vivid colors. It is proudly painted in the USA. 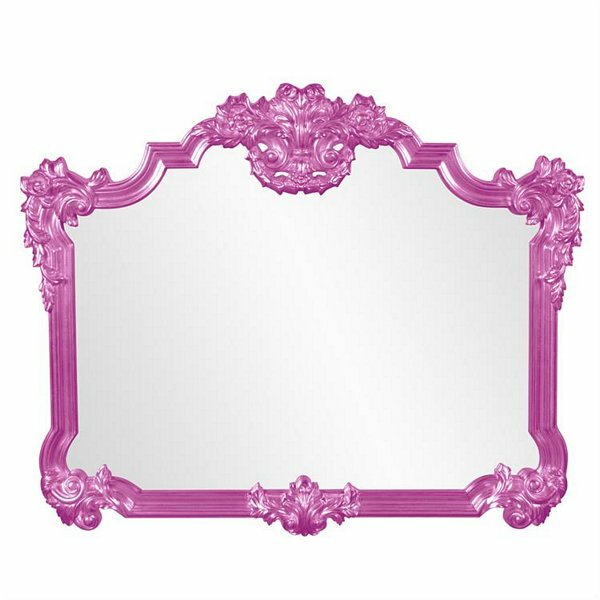 Mirror Size: 40" x 32"